Samsung has announced that iut has now delivered 500,000 units of their Galaxy Note 7 smartphone to the US as part of its recall program. Samsung will start to exchange the Galaxy Note 7 with its customers in the US from today and it has also released a software updates for the handset that will remind people to exchange their device. Samsung Electronics America, Inc. today announced that over 500,000 new Galaxy Note7 replacement devices have arrived in the U.S. and have been shipped to carrier and retail stores. New Galaxy Note7 devices will be available for exchange at retail locations nationwide tomorrow. 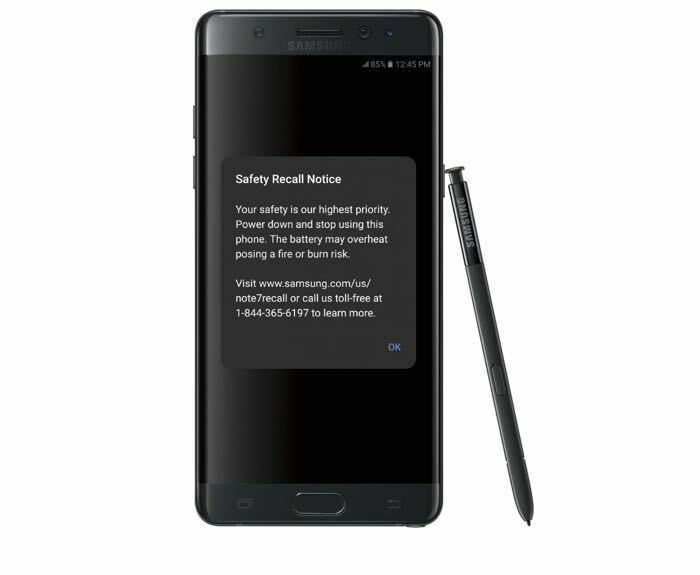 Samsung and the U.S. CPSC have and continue to urge all consumers of Note7s sold prior to September 15 to power down their device. For those not heeding that advice or are still not aware of the recall notice, a software update will be pushed to all recalled devices. Once installed, users will be prompted with a safety notice that urges owners to power down and exchange their recalled device. The notice will appear every time a user powers up or charges their device. You can find out more information about how to exchange your Galaxy Note 7 for a new one over at Samsung at the link below.